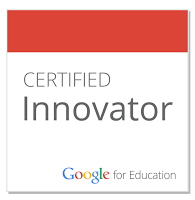 Google Slides is already a powerful tool for student creation and collaboration. 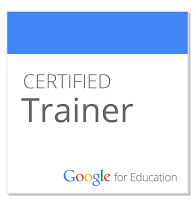 You can see a wide range of educational uses on my Google Slides resource page. As awesome as Google Slides is, you can make it even awesomer with the use of Add-ons. 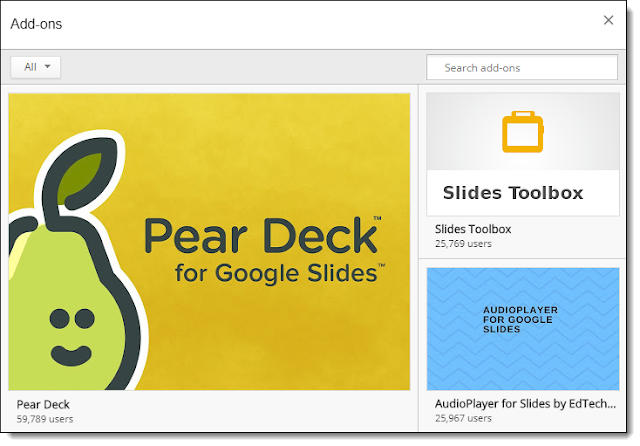 Just like Docs, Sheets, and Forms, you can now install Add-ons for Google Slides. Add-ons are third-party tools that provide you with extra features and functions that are not normally available in Slides. 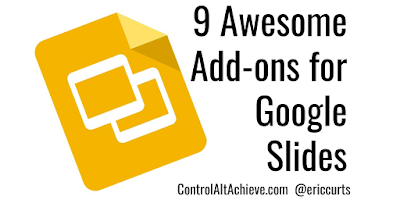 Although Add-ons are still a relatively new option for Slides, there have already been many excellent Add-ons created. 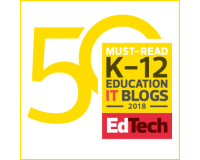 In this blog post we will take a look at nine of my favorites that can be valuable for students and educators. 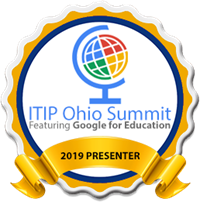 See below for details on how to find, install, and use Add-ons, in addition to links and explanations for each of my recommendations. Also you can watch the recorded video from the webinar where I cover all of the topics in detail. Click the Add-on menu item in the top menu bar. Click Get Add-ons from the drop-down menu. This will open the Add-ons window. You can scroll through the available Add-ons, or narrow down the choices with the filter menu, or type in a search term. If you find an Add-on that looks interesting, you can click on it to get more details. In the pop-up window you can read more about the Add-on, see images and/or videos, and see reviews and ratings. If you decide to install an Add-on, click the blue +FREE button. You will then get a pop-up window explaining what privileges the Add-on needs, and asking for your permission to install it. Click the blue Accept button to allow the Add-on to install. A side menu will pop-up and will typically include a menu item to launch the Add-on. If you decide you no longer need a particular Add-on, you can remove it easily. Click the Add-ons menu item in the top menu bar. Click Manage add-ons... from the drop-down menu. This will open a pop-up window showing all your installed Add-ons. 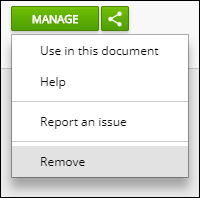 Click the Manage button next to an Add-on, and then click Remove from the drop-down menu. The Add-on will now be uninstalled. If desired, you can always reinstall the Add-on again. Unsplash Photos gives you access to over 300,000 high resolution photos. The pictures are completely free to use with no copyright restrictions. You can search for the photos you want in the add-on panel. When you find the image you want, simply click on it to insert it into your slideshow. 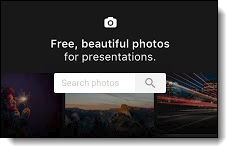 Much like Unsplash Potos, the Top Stock Photos Add-on lets you search for free images. Top Stock Photos pulls images from a wide range of free photo sites such as Pexels, Pixabay, and more. Images can then be inserted into Slides with one click. You can also click the link icon to insert a text box with a link back to the original photo. Insert Icons gives you easy access to over 1,800 free icon images from the Font Awesome and Google Material Design collections. You can run a search or browse through the icons to find what you need. You can also choose any color you want for the icons and they will automatically be updated to that color. After clicking on your chosen icon to insert it, you can move, resize, and adjust as needed. 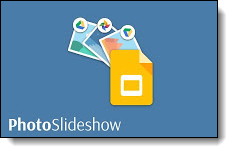 PhotoSlideshow allows you to bulk import images from a Google Drive folder or a Google Photo album. The pictures are added one image per slide. This is an easy way to create a slideshow from a collection of images. 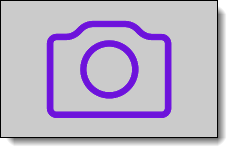 After PhotoSlideshow inserts the images, you can crop and resize as needed. 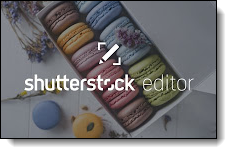 Shutterstock Editor lets you do advanced editing to images that are already in your slideshow. Select an image in your slideshow, then click "Edit Photo" in the Add-on panel. This will open an editor where you can make lots adjustments to the image, apply filters, and more. 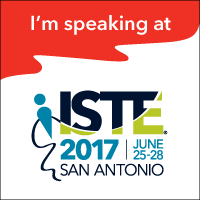 When done, click "Save to Slides" to put the updated image back into your slideshow. 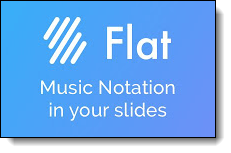 Flat allows you to compose and insert sheet music in Google Slides. From the Add-on you can insert a wide variety of notes and musical symbols. Your completed sheet music is then inserted as an image into your slideshow. You can play back the music by selecting the image and re-opening the Flat add-on. 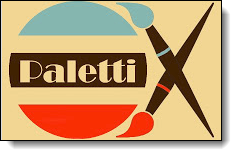 Paletti lets you choose from 200 pre-made color palettes to apply to your slides. Browse through the palette options, then click the little wand button to apply the colors to one slide, or the big wand button to apply it to the entire slideshow. You can also create your own palette by choosing your own colors. You can also select an image in your slideshow and have the Add-on automatically create a palette to match the picture. 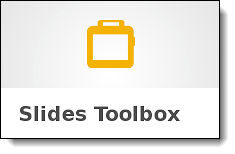 Slides Toolbox provides loads of tools for doing bulk actions. The tools are arranged in menus including Removal Tools, Text Tools, Arrangement Tools, Export Tools, Import Tools, Chart Tools, Shape Tools, and Page Tools. Sort - Sort text alphabetically, by length, randomly, etc. 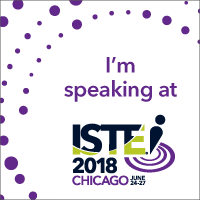 Download Outline Text - Export all the text from your slides to a text file. Create Slides from Images - Import images from Drive in various arrangements. 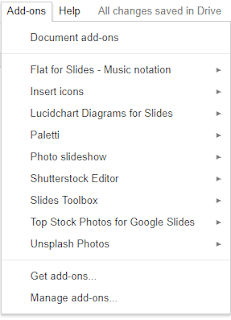 Create Slides from Docs - Import the text from a Google Doc to create slides. 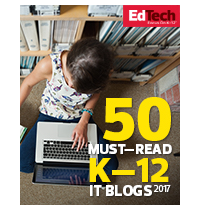 Table of Contents - Create a table of contents hyperlinked to each slide. 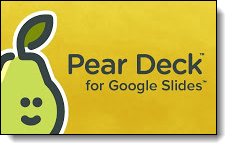 Pear Deck lets you add interactive elements to your slides including multiple choice, text entry, numeric entry, drawing, and draggable activities. You can insert pre-made template slides provided in the Add-on. 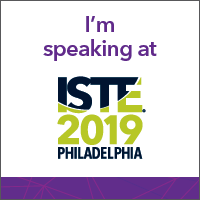 Or you can add interactive elements to slides you have already created. 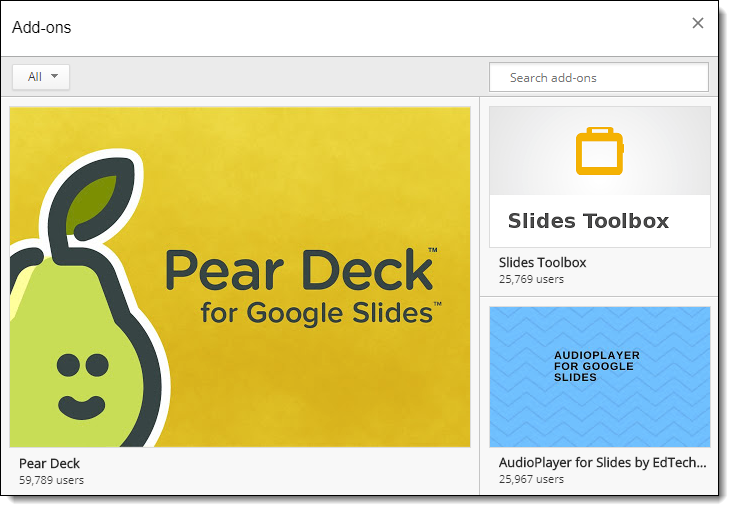 When you present the slideshow through the Pear Deck Add-on, students join the presentation and can interact with it. In addition to the Add-ons we looked at in this blog post, there are many others available and many more still to be made. 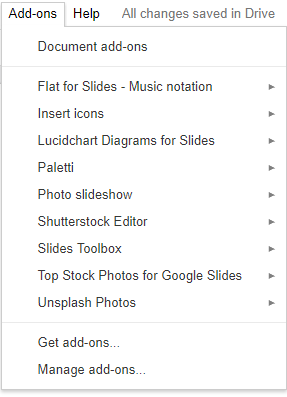 What are your favorite Slides add-ons that I did not mention? Share your suggestions in the comments below.